President Ram Nath Kovind on 22nd September visited Deekshabhoomi to pay respects to Bharat Ratna Dr Babasaheb Ambedkar in Nagpur, Maharashtra. He was accompanied by Maharashtra Governor C. Vidyasagar Rao, Chief Minister Devendra Fadanavis, Union Minister Nitin Gadkari, State’s Energy Minister Chandrashekhar Bawankule and Mayor Nanda Jichkar. 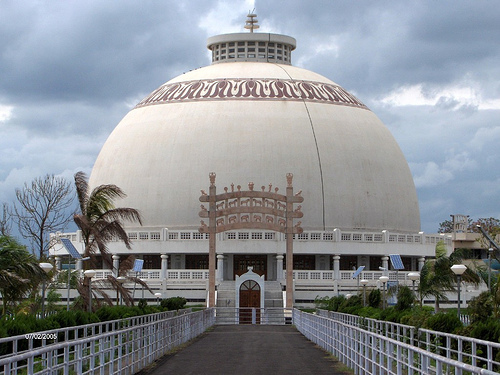 President will inaugurate a Vipassana Meditation Centre at Dragon Palace temple in Kamptee. He will also attend a special Buddha Vandana at the temple. The President will also inaugurate Suresh Bhat Auditorium in the afternoon at Nagpur.